Local Movers in Queens | Q’s Moving Corp. The diverse melting pot that is Queens makes it one of the most exciting and vibrant places to live in New York City. When you’re in Queens, you’ll find that there is no shortage of things to do. From the cultural museums to the variety of food, this borough offers you dozens of unique opportunities to fulfill your life. If you are one of the lucky ones to call Queens home, or if you’re ready to join the adventure, it’s imperative to find a reputable moving company to help you transition. Q’s Moving Corp. delivers high-quality services all over the tri-state area. Let us help you move! Relying on professionals to move within Queens makes relocating a breeze. Whether you’re moving to a residence or a business, Q’s Moving Corp. can help you out. We have three generations of experience in the moving industry, so we’re knowledgeable about New York moving. We’re even located in Queens, so we know the intricacies of the borough. We guarantee 100% customer satisfaction with every move, giving you peace of mind in knowing that you’re taken care of. Let us help you continue your Queens journey! Enlist the help of Q’s Moving Corp. today. 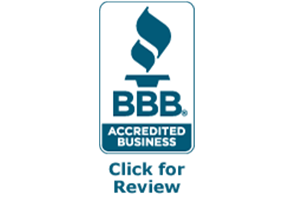 Benefits of Choosing Q’s Moving Corp.
Let us show you why we’re the best! If you’re ready to start your new adventure, reach out to us. We can help your move go seamlessly with our efficiency and positivity. Contact us today at (888) 951-MOVE to learn more about our services and get your free quote.